The itineraries outlined in this report are based on segmented interests, on rational routes, and on authentic Canadian Wilderness experiences, aligning with the needs of high-value “Authentic Experiencers” and “Free Spirits” travel consumer segments developed by Destination Canada (i.e., the Explorer Quotient (EQ) Segmentation). Together these two segments represent 26% (US) to 29% (UK) of the total travelling population. The itineraries are meant to serve as examples on what is possible and build interest and awareness for operators to either partner with Explorers’ Edge and/or develop their own offerings. Criteria-driven package development based on the consumer segments and, USPs is an end goal. 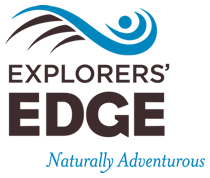 The itineraries have been developed via a comprehensive review of the product and experiences on offer, interviews and site visits with operators in the Explorers’ Edge region and a detailed review of EQ travel consumers’ trip appeals and drivers matched against Explorers’ Edge’s brand positioning.